Would you like to come to the Sorbonne? Are you teaching and/or research topics related to web-marketing, digital marketing, internet consumption, consumer behavior, or other related topics? 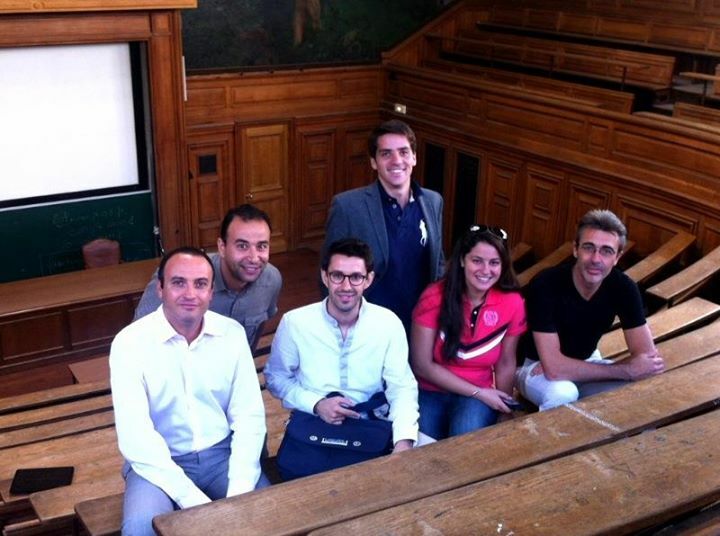 On September 12th 2014, the Interdisciplinary Management Research Lab (PRISM) of the University Paris 1 Panthéon Sorbonne (where I am PhD student) organizes a research conference with the support of the French Marketing Association (AFM) and ESSCA Ecole de Management. Here’s the call for papers. This one-day conference, Journée de recherche en E-Marketing (E-Marketing Research Day) will allow the academic community to share findings about, the behavior of internet users on one side, and the organizational, commercial and technological strategies that companies use to adapt to these behaviors on the others. Papers that can be submitted include literature reviews, research in progress and results of empirical studies. The submitted papers will have to follow the submission guidelines of the Recherche et Applications en Marketing (RAM) journal. To give you an idea, manuscripts should be a maximum for 20 pages (excluding cover pages, tables, figures, bibliography appendices) or approximately 7,000-9,000 words. On conference day, Professor LEMOINE (@JFrLemoine) and his team (probably me included) will welcome you for breakfast in a beautiful suite at the Panthéon building of the university. Then, we head to the Amphithéâtre Oury (or “Amphi de Gestion”) where the actual conference will start. We generally host between 7 and 10 presentations that last 20 minutes each, followed by a short discussion. At noon we will have lunch in a nearby restaurant. Note that most of the presentations and discussions are held in French. Who will be in the editorial board? Well everything is explained above and in the RAM submission guidelines. Papers will have to be sent by email to Jean-François LEMOINE (jflemoine30@hotmail.com) and each paper will be blindly reviewed by 2 reviewers. Deadline for paper submission is June 15th, feedback from reviewers will be provided by July 13th, and the deadline for final revised paper submission is September 3rd 2014. For futher information, go to the Colloque E-Marketing website, tweet Professor Lemoine (@JFrLemoine or @ColloqueEmarketing) or me (@YannigRoth), or comment below. We’d be happy to answer questions.